1 What Is A Hardware Blocks? 2 How Is A Hardware Blocks Performed? During a spinal fusion surgery, hardware is usually placed to maintain alignment of the spine until biological fusion takes place. 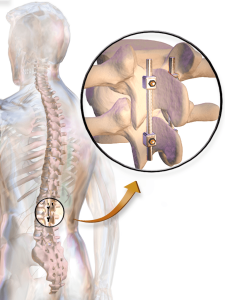 Hardware that is placed can include screws, metal plates, and metal rods. Oftentimes, however, patients can develop chronic pain from the hardware that was placed during their spinal fusion surgery. Once the source of pain is determined, the physician can discuss pain management options with the patient. Pain management options may include a multi-disciplinary approach to address both the physical and mental aspects of a patient’s health. Furthermore, the physician can determine if removal of the surgical hardware is warranted. Boswell MV, Trescot AM, Datta S, et al.Interventional techniques: evidence-based practice guidelines in the management of chronic spinal pain. Pain Physician. 2007;10(1):7–111. Camillo FX. Arthrodesis of the spine. In: Canale ST, Beaty JH, eds. Campbell’s Operative Orthopaedics. 11th ed. Philadelphia, PA: Mosby; 2007:1851–74. 70. Deyo RA, Nachemson A, Mirza SK. Spinal-fusion surgery – the case for restraint. N Engl J Med. 2004;350(7):722-6. Manchikanti L, Boswell MV, Singh V, et al. Comprehensive evidencebased guidelines for interventional techniques in the management of chronic spinal pain. Pain Physician. 2009;12:699–802. Mokhtar SA, McCombe PF, Williamson OD, Morgan MK, White GJ, Sears WR. Health-related quality of life: a comparison of outcomes after lumbar fusion for degenerative spondylolisthesis with large joint replacement surgery and population norms. Spine J 2010;10(4):306–312. nih.gov, (2015). Low Back Pain Fact Sheet: National Institute of Neurological Disorders and Stroke (NINDS). [online] Available at: http://www.ninds.nih.gov/disorders/backpain/detail_backpain.htm [Accessed 9 Jan. 2015]. Ragab, A, deShazo, R. Management of Back Pain in Patients with Previous Back Surgery. The American Journal of Medicine. 2008;121(4):272-278. Sitzman BT. 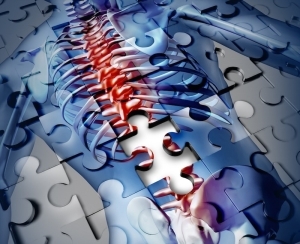 Pharmacology for the spine injectionist. In: Fenton DS, Czervionke LF, eds. 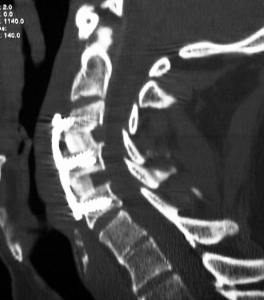 Image-guided spine intervention. Philadelphia: Saunders; 2003:287-92. Slone RM, McEnery KW, Bridwell KH, Montgomery WJ. Fixation techniques and instrumentation used in the thoracic, lumbar, and lumbosacral spine. Radiol Clin North Am. 1995;33:233–265.